Chew More Xylitol Gum, Get Less Cavities. Save and get a premade kit with our most popular items. Want to reduce cavity-causing bacteria simply and quickly? A recent study suggests you need only 6 grams of xylitol a day to do just that. One piece of Epic Xylitol Gum contains 1.06 grams. That’s simply 5.6603774 pieces of Chewy Epic Goodness. Chew on that fact for a moment. Seriously. 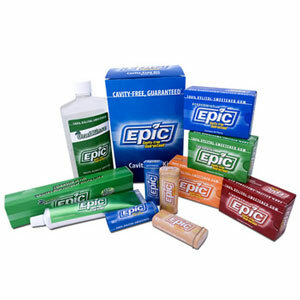 Sugar-free Epic Gum is 100% xylitol sweetened, so the store-bought brands simply cannot compare.